In my quest to find out whether you can lose weight and still train hard, I’ve talked to lightweight rowers and club rowers and the message has come through loud and clear that the answer is yes, so long as you’re disciplined and consistent. 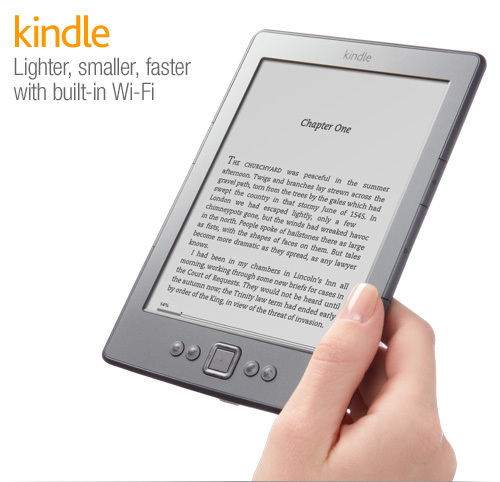 It can even – gasp – be fun. Today it’s the turn of the non-rowers – and I’ve come up with some pretty impressive ones, I think you’ll agree. 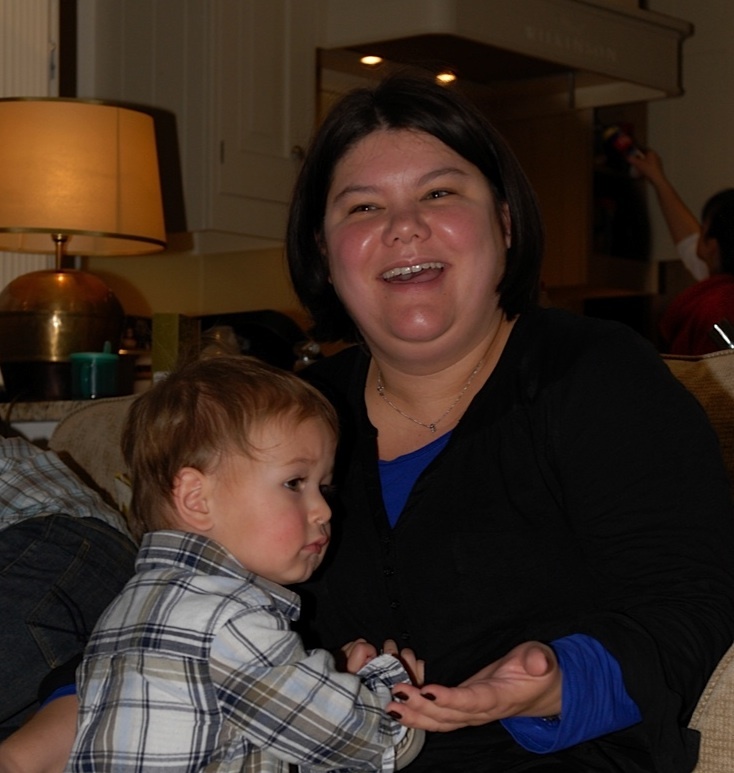 Up first is the fabulous Ursula Hirschkorn, a journalist, blogger and undisputed Queen of Weight Loss. She writes a brilliant and refreshingly candid blog, Run, Woman, Run and manages to make time for four small sons as well as training for this year’s London marathon. Impressed? You should be. Being a determined type, when Ursula decided to do something about it, she went about it with dogged persistence. And listen to this. In the space of one year, Ursula lost six stone in weight. Six stone! That’s 84lb, or 38.1 kg. In one year. Ursula achieved this extraordinary feat without resorting to meal replacements or crazy regimes; she did it with good old-fashioned exercise and healthy eating. And here’s what Ursula looks like now. ” I knew that I was in for the long haul so I had to find a way to lose weight that I could live with, rather than feeling like I was going on a ‘diet’ that would come to an end the moment I had lost the weight. “I knew that I had to change my life entirely, which is why I decided on a mix of exercise and diet. It worked really well as my enthusiasm for getting fitter really gave me something to focus on when I was losing weight. It also gave me a new interest in life and a reason to get out of the house and do something for myself. 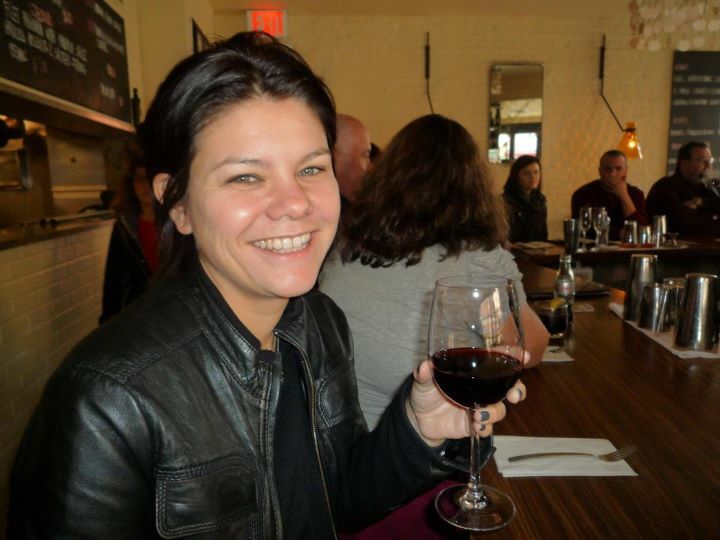 “I started off by entering a 5K run which went much better than I expected, followed by a couple of 10Ks and I am now training for the marathon. “As for coping with hunger and training – well if you eat well that shouldn’t really happen. I eat all the time, three meals plus at least two snacks, but it’s all healthy stuff, low carb, high protein. I found that if I didn’t eat enough I actually didn’t lose as much as it tended to mean that my body started to store fat again. “Though I do think the key to losing weight is not to think that doing lots of exercise means you can eat what you like. I never thought ‘Oh well I have been to the gym, so I can have a chocolate bar or a piece of cake’. Trouble is that if you take that approach it is so easy to eat away all the weight loss benefits of working out. I ate the same whether I had been to the gym or not. For my second dose of inspiration, I turned to Nicola Joyce, a fitness journalist, copywriter and blogger, who writes the addictive blog The Fit Writer. I think Nic would be the first to admit that when it comes to exercise, she’s a bit of an extremist. She used to be a cross channel swimmer and once swam right round the entire island of Jersey, so she doesn’t tend to do things by halves. Cross channel swimming requires a layer of body fat for insulation, and here’s what Nic looked like when she was training for her channel crossing – in her words, “muscley and fat”. Ever up for a challenge, Nic moved on from swimming the channel, via triathlon, and eventually settled on natural (ie. non-steroidal) bodybuilding for her next endeavour. This required a huge change in her body composition. Although she’d always been muscular, she needed to build a lot of muscle and become extremely lean in order to display the muscles. Bodybuilding involves an off season in which dietary restrictions are relaxed in order to build muscle and strength, and a preparation season in which body fat is lost in preparation for competitions (Nic calls this Notch Watch as she gradually tightens the notches in her training belt). Last year Nic embarked on her first season and managed the extraordinary feat, having started from scratch, of placing second and third in two British finals in 2011. This is what she looked at in competition – quite a difference, huh? GirlontheRiver: How do you feel at the beginning of the getting lean stage? Do you dread it or relish the challenge? Nic: I was really fired up last year as I had a very clear goal and lots of support. It was very exciting! I had a clear picture of what I wanted to achieve (and what I thought/knew I’d end up looking like) and this was very motivating. This time round, there was a bit of dread – after all, the mind and body aren’t stupid and do have a memory! But along with the memories of how tough dieting and getting lean can be, I have the memories of how it feels to reach/exceed goals and hold that trophy. That drives me on. And, quite honestly, when I can calm my mind, get rid of the self-pity and have finished having a little “mental tantrum” about the injustices of dieting (insert sarcasm here: after all, it’s completely my choice and I can stop any time I want! ), I realise that I actually quite enjoy it. I genuinely like the foods I eat, I like being healthy, I don’t like how I feel when I eat junk. GirlontheRiver: What, briefly and roughly, does your diet consist of when you’re on notch watch? – I avoid sugar, dairy (apart from butter), grains (apart from basmati rice) – even oats. They just don’t do it for me, leave me bloated and trigger off cravings. I try to get organic, grass-fed meat where possible, both for the health benefits but also from an ethical point of view. Some things I eat would be considered strange: I don’t eat toast, cereal or even oats for breakfast. Instead I tend to have meat and leafy greens or green veg with some fat (for example today was chicken cooked in a bit of butter, with cabbage and leek – yes, for breakfast). It’s what works for me! A lot of it is learning about your body, what works for you, what doesn’t. What makes you feel good and energised, what makes you feel bloated, lethargic, craving sweet things. Oats are a staple food for many bodybuilders, but I no longer have them in the house. They don’t do anything for me apart from make me feel sleepy and set off cravings for biscuits and cake! Strange, but that’s what I’ve learned. GirlontheRiver: Do you change your exercise regime in order to get leaner e.g. introduce more cardio? Nic: Yes I bring cardio in to bump up fat loss, but don’t do too much otherwise there will be no “tricks left up my sleeve”. Most of my fat loss comes from the diet side of things, and strength/size/mass comes from how I train. Even weight training can have a cardio effect if you do it fast enough. Yesterday’s leg session was a massive hit to the metabolism/CNS – I felt like I’d run a 10k race or something! GirlontheRiver: How do you get the balance right between losing weight and staying strong? GirlontheRiver: Do you struggle with feeling weak / feeling hungry during this phase? And, if so, how do you deal with this? Is it a case of MTFU?!! Nic: Yes – see above. You have to be kind to yourself, you are asking a lot of the body – and the mind. But not too kind, after all if you want to meet your goal, you have to get on with it. Reward and pamper yourself, just not with food (there are plenty of other ways). Enjoy what you do get to eat (I try not to eat cold chicken out of tupperware when I can eat freshly cooked chicken warm out of the oven). Don’t make it harder than it has to be. Praise yourself for your successes – either out loud or by writing it in a journal. Try to minimise other stresses. Learn to let go (of the housework or whatever can “give” for the period of time). And keep your eyes on the prize. You have to know why you’re doing this, it has to resonate with you. The results and rewards are worth it – every single second of it. And always remember, this is your choice. No-one is making you do it, and it’s not their fault! So, ladies and gents, there you have it. One sporting virgin who went from doing nothing to running a marathon, and one sports nut who can’t say no to a challenge. Both very different, but with a similar message. Can you lose weight and still train hard? Whether you’re a heavyweight rower, a lightweight rower, a bog-standard club rower, a runner, a bodybuilder or a couch potato aspiring to greater things, let me hear you say it… YES, YOU CAN! If I needed an added incentive to get myself back on the water, the thought of all the food I’m missing out on would probably do it. Here’s what Olympic rower, Katherine Grainger, eats in a typical day. Mmmmm… just the thought of that second breakfast is making me hungry. 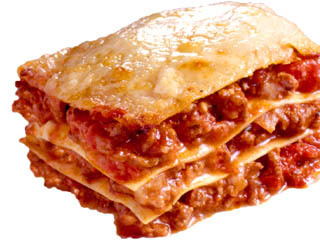 Instead of eating, though, I’m off to do those exercises my physio prescribed; it’s my best chance of getting back on to the lasagne and scrambled egg diet. Do you need to be ANGRY to be a rower? “So you sprint to the end. The winners come back here and the LOSERS will be PUNISHED! Because it’s all about WINNING and rowers want to WIN!” This rather alarming tirade was part of a circuits seminar for rowers that I went on this weekend. Alongside the useful instruction on core stability for rowing and new ideas for circuit training, some rowing psychology was thrown in for free. The central philosophy is that to be a successful rower you have to be ANGRY. 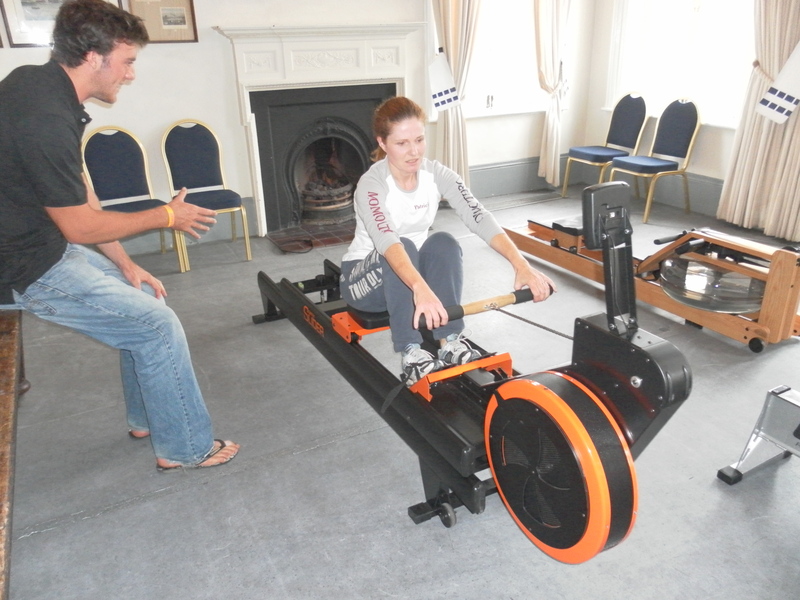 Now I’ll be the first to admit that my rowing career to date has been less than illustrious. My shelf is still standing empty, waiting for that first pot. In the eyes of the circuits instructor, I would no doubt be classed as a LOSER who ought to be PUNISHED. Yet I don’t think my lack of success to date has been due to any lack of determination or grit. I’m known in the club for my terrier-like tenacity when it comes to pushing to the limits. I might have the poorest erg score but I have one of the stoutest hearts. I want to win and I hate losing. But that kind of macho posturing that means glaring at the opposition and jostling club members for a place in the boat leaves me cold. Perhaps it’s my legal background. My fellow lawyers and I could walk into court, chatting away about mutual friends and what we had for lunch, but as soon as the judge processed in, the gloves were off. We’d be fierce opponents, fighting our case to the bitter end. Then we’d revert in the blink of the eye to friendly banter as soon as the case adjourned. The same goes for rowing. I’m happy to chat to my opponents before the race starts – and often a bit of friendliness can pay back if you need an bit of leeway because someone’s doubled up – but as soon as we’re on the water, it’s war. Maybe I’ve missed the point. Maybe if I tried a bit of shouting and aggression I’d find myself in the winning crew. But at what cost? Rowing, for me, is still about being sporting. So you can keep your angry talk and your punishments. If you meet me at a regatta I promise to be friendly. If that makes me a loser, it’s a price I’m willing to pay. It’s a bit of a cliché, but one I’m always grateful for. However feeble my erg score (and it’s feeble enough to be kept a closely guarded secret), I can always comfort myself with the thought that ergs don’t float – by which I mean that what you do on a rowing machine doesn’t necessarily translate into what happens on the water. You can be all grunt and heft in the erg room and achieve massive, macho scores, but if your technique on the water is lousy – if you’re missing the catch until half way through the stroke, or you’re flying up the slide like an elephant on castors – you can waste all of your (admittedly impressive) efforts. So if there were an erg that mimicked what happened on the water in any sort of realistic way, we’d all be pretty interested, right? Well, yesterday I had the chance to try out some WaterRower rowing machines that claim to be the nearest thing you can get on land to the real thing. My attempts on the various models were overseen by Leander rower and Olympic hopeful Alan Sinclair, whose most exciting claim to fame – and sorry, Al, for bringing this up rather than your more serious achievements – is being Robbie Williams’ body double in the video for The Flood (just pausing for a moment here to let the Take That! fans pick themselves up off the floor). Anyway, with Alan there to help me, what could possibly go wrong? 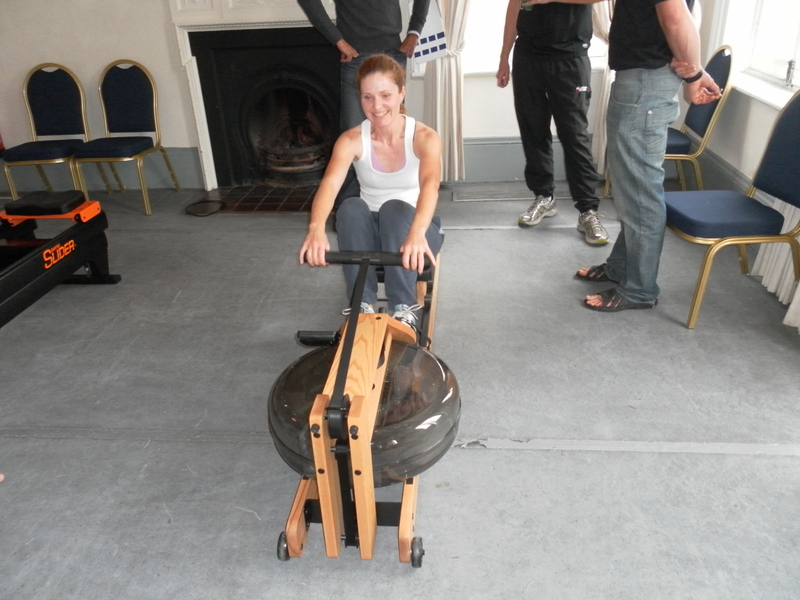 First on trial was the basic WaterRower, which you’ll probably be familiar with. It was smoother and quieter than a Concept2 (sorry to mention them, but if I don’t, someone will). Other than that, it felt pretty familiar. Definitely a step up was the Oartec Slider. 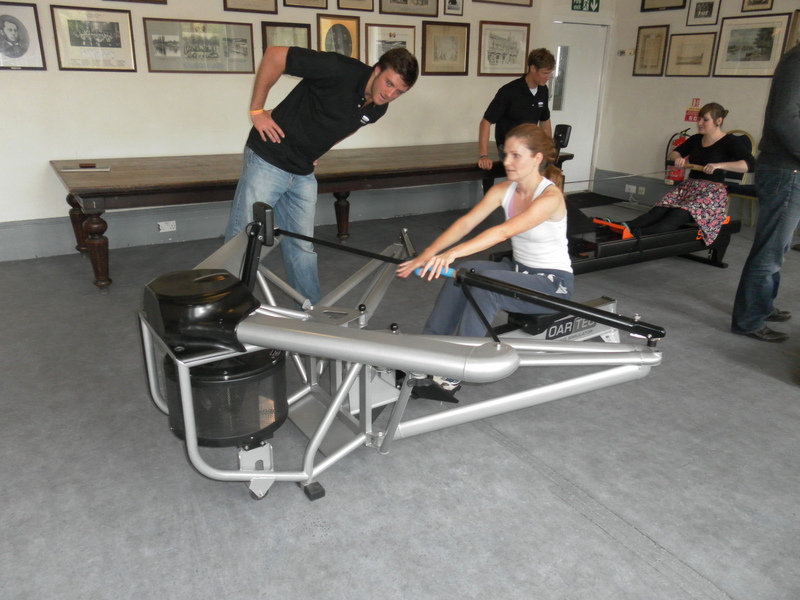 This is a dynamic rowing machine that is designed to give the most realistic feeling of rowing on the water, and is supposed to be kinder to your back. What marks it out from a static one is that the frame moves (if you’ve ever put a static erg on a frame, you’ll have an idea what this feels like). When you push off with your legs, they move away from you, rather than you moving away from them. The whole experience is more fluid – always good in a water sport. I can’t deny I didn’t quite get the hang of it in the short time I had to try it out, which explains the faces I was pulling (probably just as well that you can’t see Alan’s face as he watches my efforts…). I was pinging backwards and forwards, sometimes hitting front stops and sometimes back stops, which is not how it’s supposed to work. I would imagine, though, that if you can get to grips with it, it could be a very useful bit of kit. 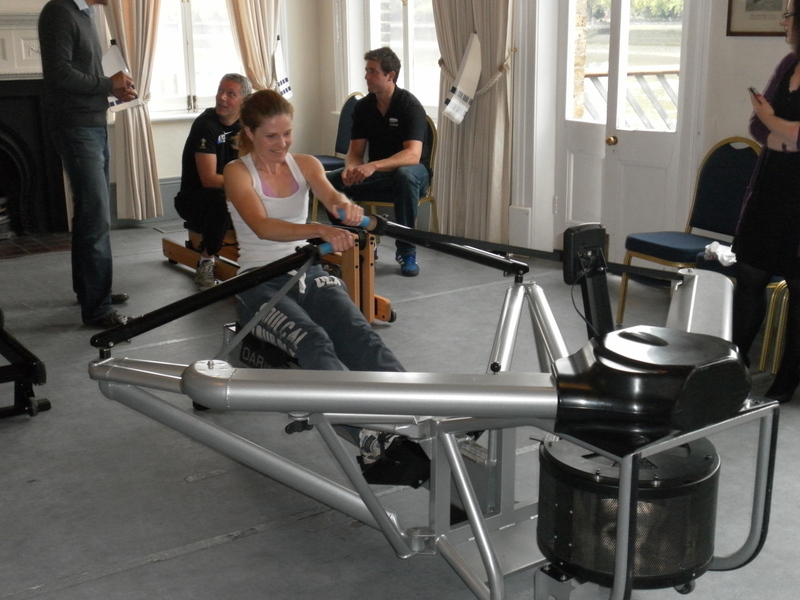 Finally, the machine I’d been waiting to try – the Oartec simulator. It’s huge and metallic and looks like something that would-be astronauts might use to test their suitability for space travel (though I’m assured it does fold down into a more storable size). What is so unusual about it is that rather than just having a straight handle on a chain, it is rigged with separate, solid handles for sculling or for bow or stroke-side rowing. This really is more like the real thing. We had it rigged for sculling, and the motion really did feel exactly like the sequence of movements in a sculling boat (right down to the sculler’s knuckle that I managed to sustain within a minute of climbing aboard). On the erg you don’t use exactly the same muscles, especially on the upper body, as you do in a boat; with this one it was much more familiar. "Have you started pulling yet?" it took a little while to get used to it and to get even a moderately respectable score (I’ll never live down my shame when Alan peered at the monitor and asked if that was the sort of score that I’d normally be achieving. No one is supposed to know). But I really think I could come to love it (all right, like it, at least). For a start it looks really cool (come on, that matters!) and anything that is less like an erg and more like a boat is always a winner for me. Best of all, if you’re looking to improve, you could use it to work on your technique in a meaningful way. So, as I said, with Alan in charge, what could possibly go wrong? Well, nothing much, except for the small matter of me breaking one of the machines. And which one do you imagine I managed to break? Yes, you guessed it. Ah well. Even if my erg scores are nothing to write home about, at least I’ve shown that I’m strong enough to break a monster machine. That has to count for something. Do you ever stop to wonder how you might cope if something catastrophic happened to you? How would you react if, say, a freak accident took away your ability to walk? Or if a degenerative illness confined you to a wheelchair? Most of us, I imagine (and I include myself here) would fall into a depression. I strongly suspect that I would indulge in a lot of self-pity. I might even, on occasion, get off on the drama of it all, before lapsing back into negativity. Which is why I’m so in awe of our Paralympians who, today, are celebrating International Paralympic Day. Far from letting their condition, whatever that might be, blight their lives, they have battled through to become elite athletes. Take the adaptive rowers, for example. What struck me most when I looked into their stories was how hard it was to find out why they were adaptive rowers. It’s easy to find out their height, their weight, the club where they row. But the accident or illness that put them in the adaptive category? You have to search long and hard to find out anything about it. They all choose not to dwell on it. GB rower Tom Aggar, who won a gold medal at the World Championships in Slovenia last week, used to play rugby for the University of Warwick and was a member of the Saracens youth development squad. When a random accident in 2005 left him with a spinal injury, far from giving up on his sporting aspirations, he turned to rowing. He rows in the “arms, shoulders” category (yes, guns to die for) and has won gold in three rowing world championships and the 2008 Paralympic Games. It’s high time he was a household name. 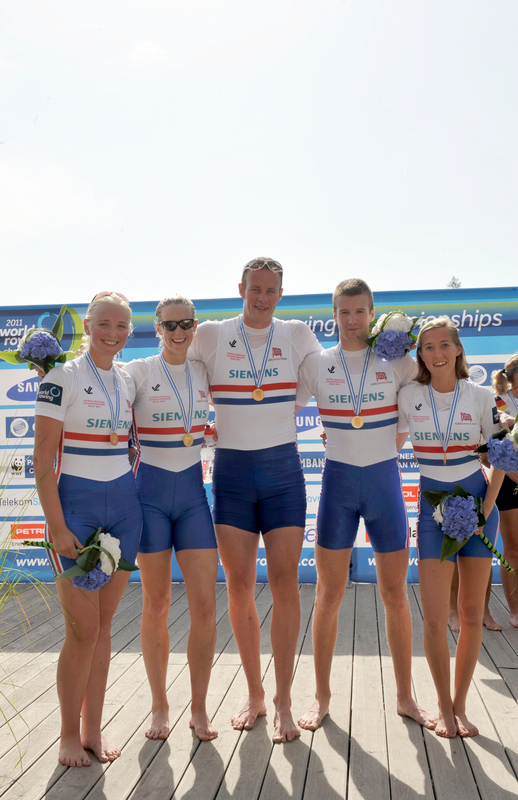 Aggar wasn’t alone in representing Great Britain on the podium last week: there was also GB’s LTAMix4+ (a coxed, mixed four rowing with legs, trunk and arms). Pamela Relph (who has restrictive and painful arthritis that cut short a career in the Royal Engineers), Naomi Riches (who is registered blind), David Smith (whose ambitions in Olympic-level bobsleigh were thwarted by his club foot, which led to injury problems) and James Roe (who is visually impaired) snatched the gold from the previous world champions, Canada. Rowing is a sport that demands strength, determination and courage. These athletes have all of those qualities, and some. And then some more. Let’s hope they feel the love today.